Why not find out about the history of our wonderful town? 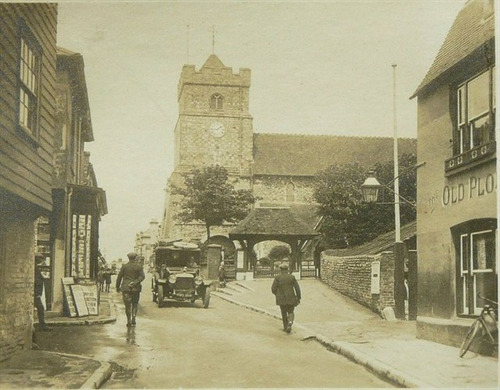 In an event hosted by the Mayor of Seaford David Argent, Seaford Historian Kevin Gordon will be holding a guided tour of Seaford at 10:30am on the 29th August. The tour will set off from the Seaford Town Council Offices located at 37 Church Street, Seaford. You will be guided on a 90 minute walk around Seaford, in which Kevin will tell the story of the town and mention some of the extraordinary people who lived here. The tour will end at the Council Chamber where there will be a chance to have tea with the Mayor and view some of the rarely seen Council regalia. Tickets are £5 each and can be purchased from Seaford Tourist Information Centre. All of the money raised will go towards Mayor’s Charities fund which, this year, is supporting Seaford Lifeguards and CTLA.